SPN "Are You Faster A 5th Grader? 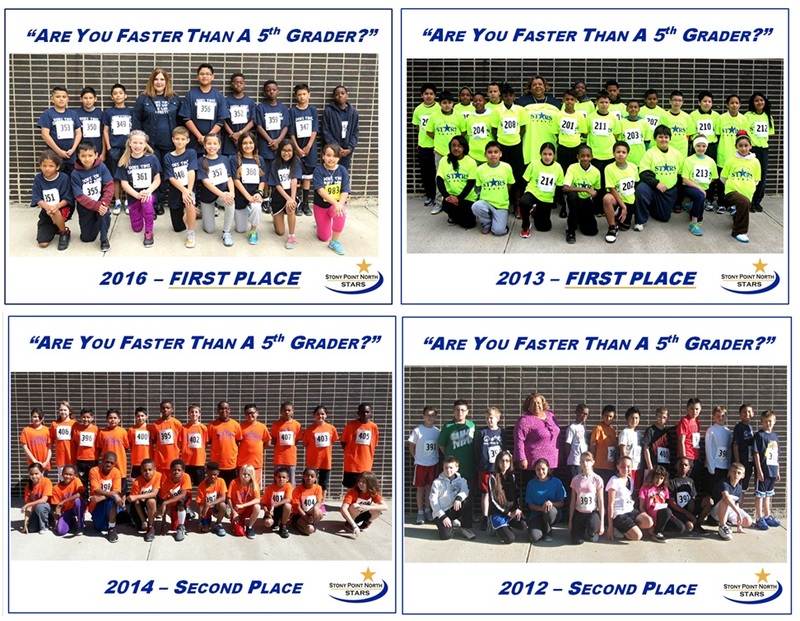 in KCK School District's "Are You Faster Than A 5th Grader?" 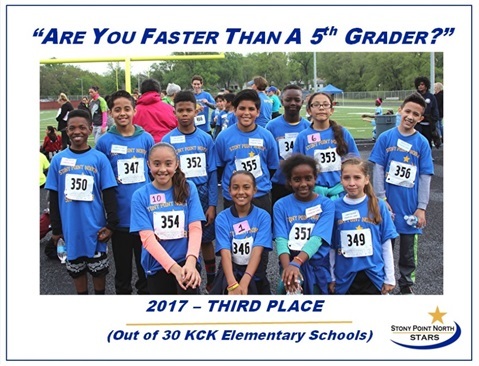 The “Are You Faster than a 5th Grader?” race was started six years ago by Dr. Cynthia Lane, the superintendent of the KCK school district. In the spring of each year Dr. Lane will run against 15 fifth grade students from each of the 30 elementary schools in our school district. This race is a Two Mile Run through Kansas City, KS with a total of 450 students running plus many adults from the KCK school district. During the past six years Stony Point North has experienced GREAT SUCCESS in this race! We have finished in FIRST Place TWICE in 6 years (in 2016 and 2013)!! And we have finished in SECOND Place Twice (2014 and 2012). In 2017, we finished in THIRD Place and in 2015, we finished in 7th place. These accomplishments have been with 30 KCK elementary schools in the race. We have our students work hard so that our tradition of success will continue!! 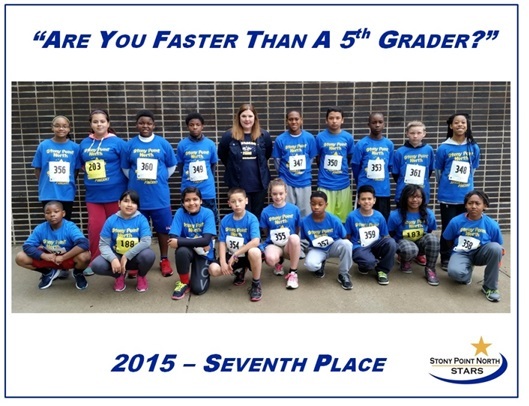 Our 5th grade students are well aware of the importance of preparing for this race early and have continued to work very hard on improving their physical fitness levels throughout each year. Stony Point North Finishes in Third Place! Stony Point North Finishes in FIRST Place! "Are You Faster Than A 5th Grader?" Stony Point North Finishes in Second Place!